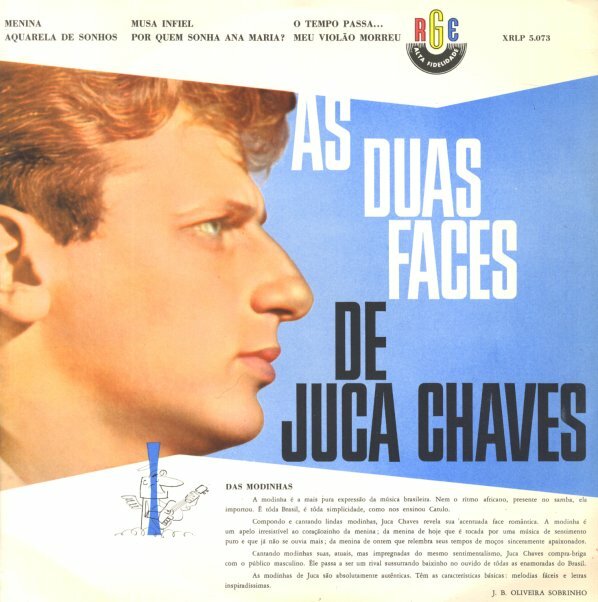 The two faces of Juca Chaves – one a witty samba singer, the other a straighter vocalist – served up here in a strong split album from the 60s! Side one features "satiras" – tunes that often have Juca's vocals cutting sharply alongside percussion, guitar, and some nice light woodwinds – with a lively sound throughout. Side two features "modinhas" – mellower, darker songs that often mix some melancholy strings with guitar, conducted by Simonetti. Titles include "Presidente Bossa Nova", "To Duro", "Nos, Os Gatos", "Nasal Sensual", "Menina", "Musa Infiel", and "O Tempo Passa". © 1996-2019, Dusty Groove, Inc.